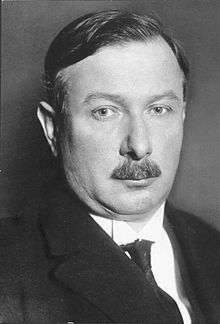 Karl Joseph Wirth, known as Joseph Wirth, (6 September 1879 Freiburg im Breisgau – 3 January 1956 Freiburg im Breisgau) was a German politician of the Catholic Centre Party who served as Chancellor of Germany from 1921 to 1922, for 585 days. 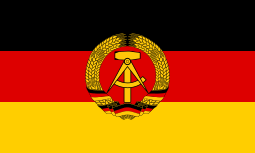 During the post-war era, he participated in the neutralist Alliance of Germans party. Joseph Wirth was born on 6 September 1879 in Freiburg/Breisgau in what was then the Grand Duchy of Baden as the son of the Maschinenmeister (working engineer) Karl Wirth and his wife Agathe (née Zeller). According to Wirth himself, the Christian and social involvement of his parents had a strong impact on him. From 1899 to 1906 he studied mathematics, natural sciences and economics at the University of Freiburg finishing with a dissertation in mathematics. From 1906 to 1913 Wirth worked as a teacher at a Realgymnasium in Freiburg. In 1909, he was a co-founder and first president of the Akademische Vinzenzkonferenz, a charity run by laymen for the poor. In 1911, he was elected to the Freiburg city council for the Catholic Zentrum. From 1913 to 1921, he was a member of the Badischer Landtag, the diet of the Grand Duchy (later the Republic of Baden). In 1914, Wirth became a member of the Reichstag. His main focus was on social issues. At the start of World War I Wirth volunteered for military service but was deemed unfit to serve for health reasons. He then joined the Red Cross. From 1914-17 he worked as a nurse on the western and eastern fronts. After contracting pneumonia, he had to stop this work. In July 1917, Wirth voted in the Reichstag for the "peace resolution" sponsored by Matthias Erzberger. During the German Revolution of 1918-19, Wirth became Finance Minister of Baden on 10 November 1918, after the provisionary government replaced the Grand Duke's ministers. In January 1919, Wirth was elected to the Constituent Assembly which met at Weimar. At the time he described himself as a "firm republican". In April 1919, he became Finance Minister of the newly created Freistaat Baden. After the Kapp-Lüttwitz Putsch of March 1920, when the government of Gustav Bauer resigned and was replaced by one led by Hermann Müller, Wirth became Minister of Finance of the Reich. He continued to hold this portfolio in the subsequent cabinet of Konstantin Fehrenbach. His task was to carry out the system of increased national taxation which his predecessor Matthias Erzberger had induced the Reichstag to adopt. When in May 1921 the Allied ultimatum on reparations ("London ultimatum") was presented to Germany and the sanctions enforced on the Rhine, the Fehrenbach cabinet, which had rejected the London terms, resigned, and Wirth was called upon to form a new cabinet as Reichskanzler. He succeeded in obtaining the cooperation of a number of Democrats (DDP) and Socialists (SPD), including the prominent industrialist and economist Walther Rathenau as Minister of Reconstructions. Wirth himself retained the portfolio of finance. The new government then accepted the Allies' reparation terms — 132 billion marks (£6,600,000,000) payable in yearly installments of £100,000,000 plus the proceeds of a 25% duty on German exports. By 31 August 1921, Germany had paid the first half-yearly installment of £50,000,000, and in the following October Rathenau succeeded in concluding a comprehensive agreement with France for paying reparations in kind for the reconstruction of the devastated regions. By trying to comply with the Allied demands, the Wirth government attempted to show that it was in fact impossible for the German Reich to fully satisfy the reparation demands. The extreme right reacted to Wirth's policy by calling for his assassination. After the assassination of Erzberger on 26 August 1921, the conflict between the Berlin government and the Bavarian government of von Kahr came to a head, von Kahr showing the same recalcitrancy against carrying out the special ordinances against plots as he had previously exhibited in regard to the dissolution of the illegal volunteer force, the Einwohnerwehr. Wirth stood his ground, and ultimately von Kahr was compelled by his own party in Bavaria to resign and make way for a more conciliatory Ministerpräsident. The strife which arose out of this acute internal crisis had hardly abated when the announcement in mid-October of the decision of the League of Nations on the partition of Upper Silesia between Germany and Poland aroused wild excitement throughout Germany, and, among other consequences, sent the exchange value of the mark down (17 October) to 750 marks to the pound. For his part, Wirth is recorded as declaring that Poland must be destroyed. Wirth had not concealed his conviction that the severance from Germany of the rich industrial district of Upper Silesia would fatally affect Germany's capacity to pay further reparation installments, and the political tension in Berlin again became acute. On 22 October 1921, he resigned in protest over the partition of Upper Silesia against the expressed will of the majority of the population. However, on 25 October Reichspräsident Friedrich Ebert once again asked him to form a government which Wirth did on 26 October. In April 1922, Wirth and Rathenau signed the Treaty of Rapallo which ended Germany's foreign policy isolation. After Rathenau was murdered by right-wing extremists in June 1922, Wirth gave a speech in front of the Reichstag in which he warned that "we are experiencing in Germany a political brutalization" characterized, he said, by "an atmosphere of murder, of rancor, of poison," and famously proclaimed, "the enemy is on the right!" In July 1922, the Gesetz zum Schutz der Republik was passed on the initiative of his government, aimed at protecting the republic against its internal enemies. However, by 14 November 1922 Wirth felt that the Erfüllungspolitik of complying with Allied demands had failed and resigned. 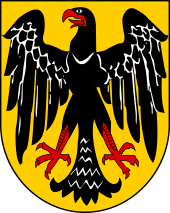 In 1924, Wirth joined the Reichsbanner Schwarz-Rot-Gold, an organization that aimed to protect the republic. When the Zentrum joined the government of Hans Luther in January 1925, Wirth criticized his party for working together with the nationalist DNVP. In August 1925, he left the Zentrum Reichstag fraction in protest over the social policies of his party but retained his seat as an independent. In April 1929, Wirth became Reichsminister for the occupied territories in the Second Müller Cabinet. After that government's resignation in late March 1930, Wirth became Minister of the Interior in the cabinet of Heinrich Brüning. His term of office ended in October 1931 when he was replaced by Wilhelm Groener. In March 1933, two months after Hitler was appointed chancellor by Hindenburg, Wirth spoke passionately in the Reichstag against the Nazi-sponsored Enabling Act, which gave Hitler dictatorial powers. After its passage, Wirth emigrated to Switzerland, settling in Lucern. He communicated with leading statesmen in Britain and France about the dangers of Nazism, and traveled to the U.S., where he met with the exiled former chancellor Heinrich Brüning. Wirth resided in Paris from 1935 to 1939, when he returned to Lucern. Subsequently, he made efforts to inform the Vatican about the threat of Nazi Germany's anti-Jewish policies, and during World War II he secretly kept in touch with anti-Nazi circles in Germany. Four years after the war, in 1949, Wirth returned home. He opposed Konrad Adenauer's policy of Western integration, believing that this would make the division of Germany permanent. Together with Wilhelm Elfes he therefore founded the neutralist "Alliance of Germans" (BdD), that was also supported by the SED, and the newspaper Deutsche Volkszeitung. Although Wirth did not approve of Stalin's policies, he believed in a compromise with the USSR in line with the Rapallo treaty. In the CIA file "The background of Joseph Wirth" it is even claimed that Wirth was a Soviet agent. Unlike West Germany, East Germany paid Wirth a small amount of financial aid. In 1954, Wirth was awarded the East German "Peace Medal" (Friedensmedaille). He received the Stalin Peace Prize in 1955. 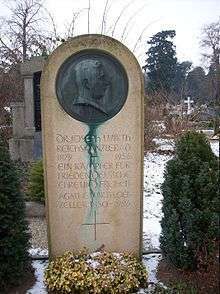 Joseph Wirth died of heart failure in January 1956, aged 76, in his hometown of Freiburg and was buried in the city's main cemetery. 1 2 3 4 5 6 7 8 9 10 11 12 13 14 "Biografie Joseph Wirth (German)". Deutsches Historisches Museum. Archived from the original on July 11, 2014. Retrieved 12 February 2014. ↑ "Das Londoner Ultimatum (German)". Deutsches Historisches Museum. Archived from the original on February 23, 2014. Retrieved 12 February 2014. ↑ "Kabinette von 1919 bis 1933 (German)". Deutsches Historisches Museum. Archived from the original on August 4, 2014. Retrieved 12 February 2014. 1 2 Ulrich Schlie: Diener vieler Herren. Die verschlungenen Pfade des Reichskanzlers Joseph Wirth im Exil: In: Frankfurter Allgemeine Zeitung, 29. November 1997. Wikimedia Commons has media related to Joseph Wirth. Chisholm, Hugh, ed. (1922). "Wirth, Karl Joseph". Encyclopædia Britannica (12th ed.). London & New York.